Chasing 156, Warner and Bairstow once again got their side off to a good start, adding 72 between them before the Englishman departed. However, from there on, what followed was unimaginable. From 101/2 in the 16th over, SRH were bundled out for 116 before the 19th over even ended. Barring the two openers, nobody even got into double figures. Paul kicked things off by getting Bairstow and Williamson, then Rabada and Morris cleaned house in the death overs. 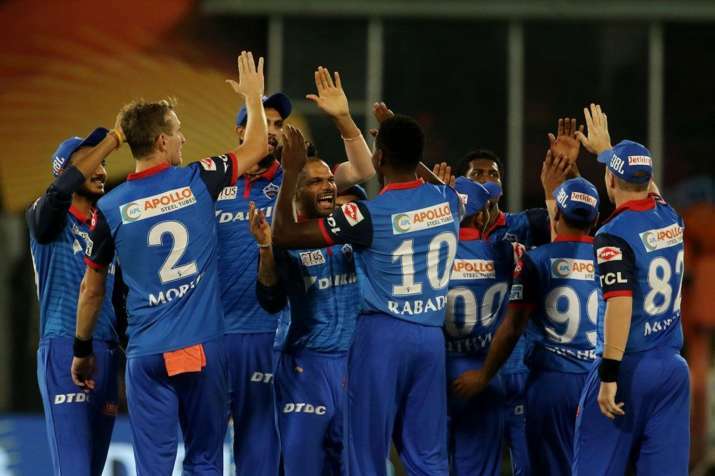 Earlier, young left-arm pacer Khaleel Ahmed grabbed three key wickets in an impressive spell to help Sunrisers Hyderabad restrict Delhi Capitals to 155 for 7. In his next over, Ahmed got rid of Dhawan who miscued a bounceer off the bowler with Bhuvneshwar Kumar taking the catch at fine leg. Dhawan had scored an unbeaten 97 in Delhi's win in their last match against Kolkata Knight Riders. One-down Munro, however, was in a punishing mood and he smashed Ahmed for a four and a six each in the fourth and sixth overs. Delhi reached to 51 for 2 after six overs.